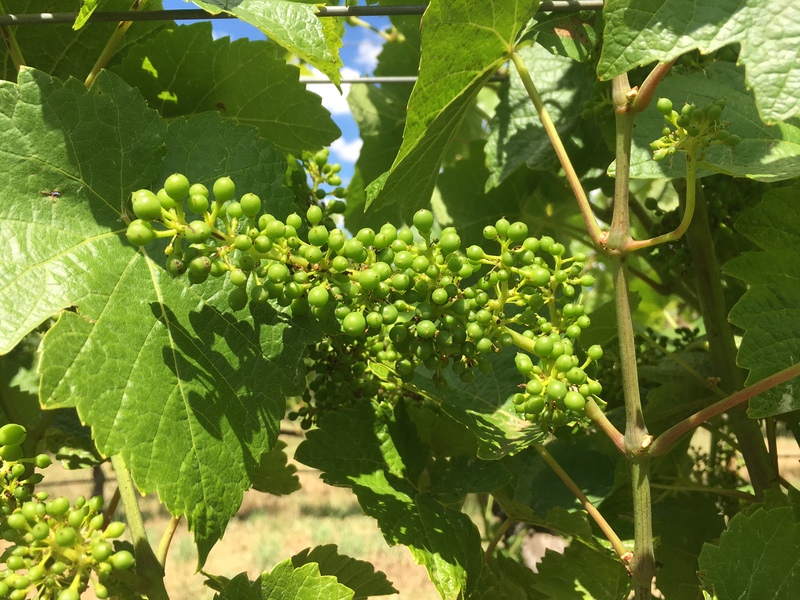 A whole growing season has passed since our last post in August 2016!! 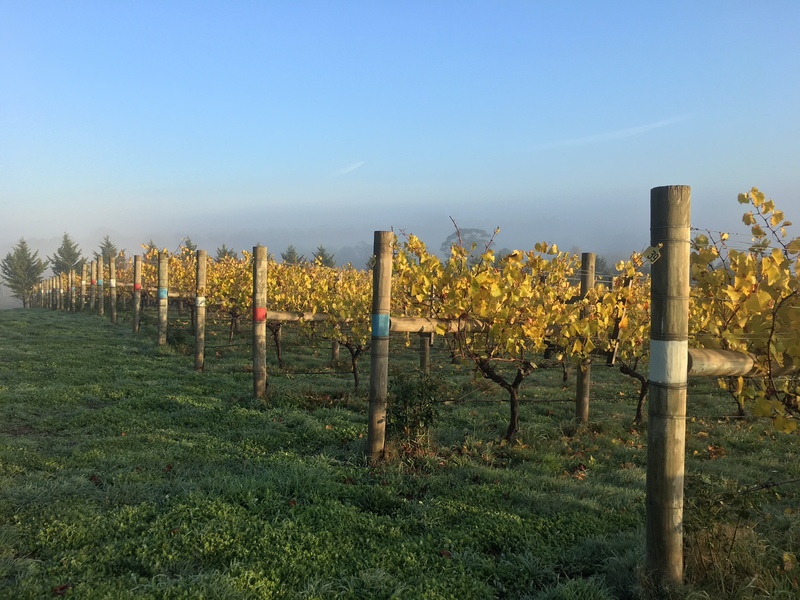 Whilst the blog has been quiet, activity in the vineyard has not, so we thought we would give an overview of the season from pruning last winter through to autumn 2017. 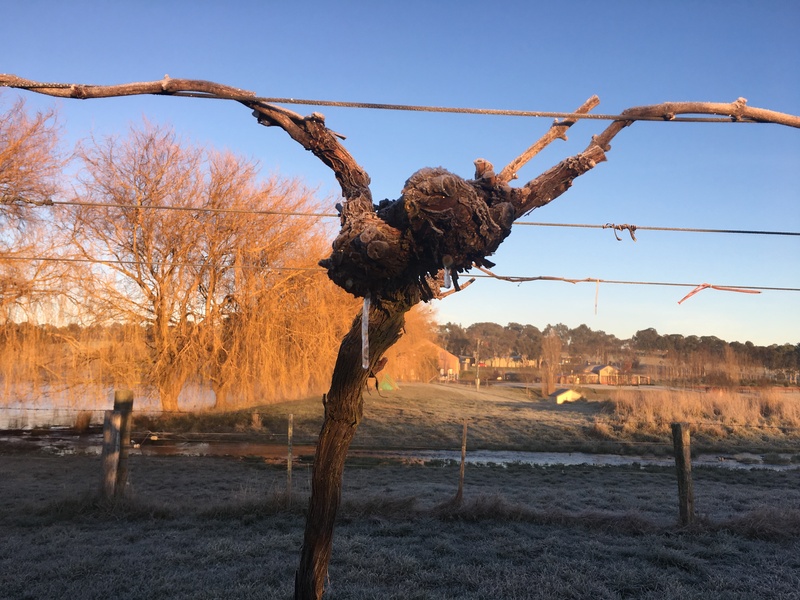 PRUNING is one of the biggest and important tasks in the growing year, setting the foundations for the following harvest. 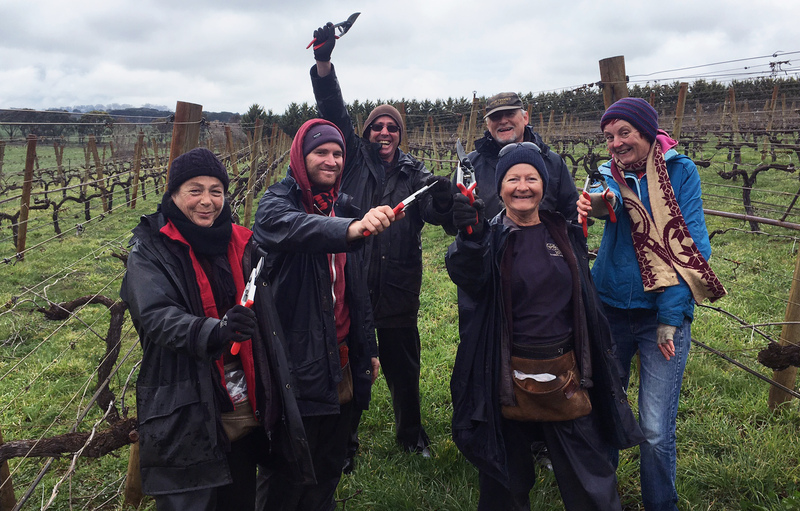 The vineyard is all pruned by hand and takes approximately 3 months to complete, work taking place come rain or shine! 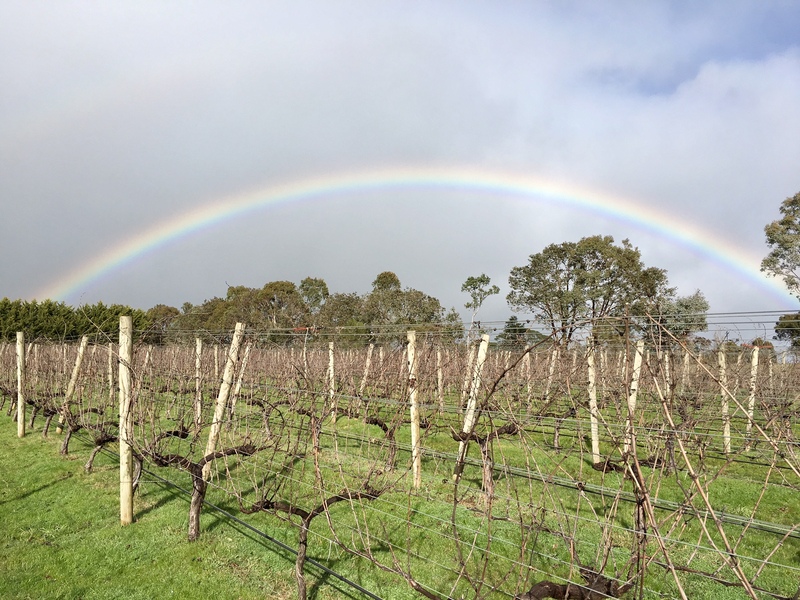 Winter also saw good rainfall. 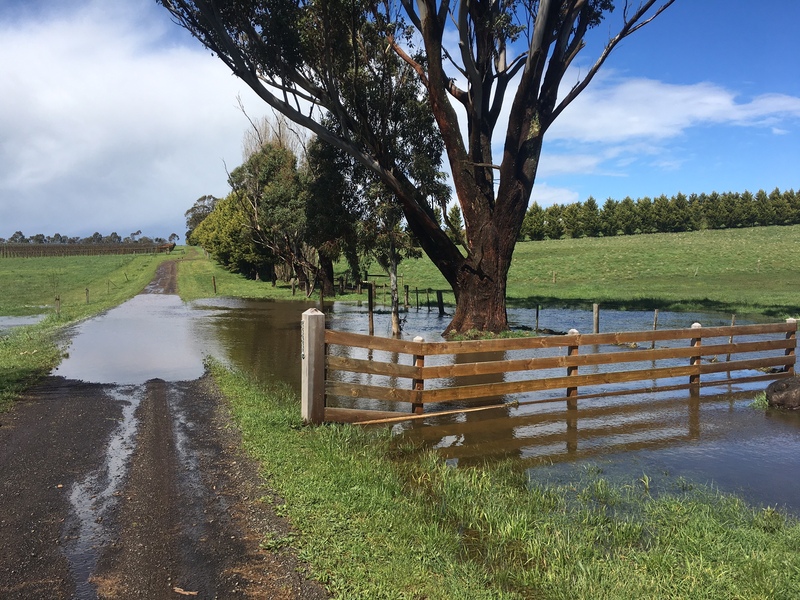 By the end of September we were 93 mm above the long term average. 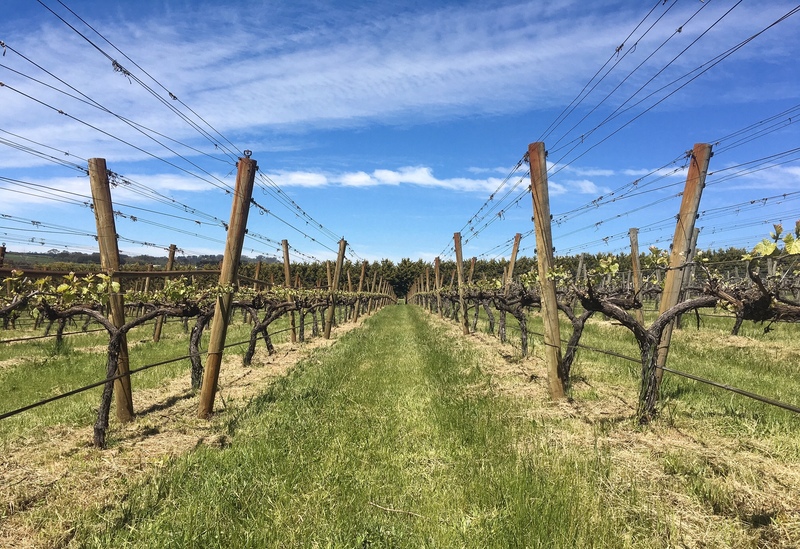 This meant that the vines were well set up with deep soil moisture for the growing year. 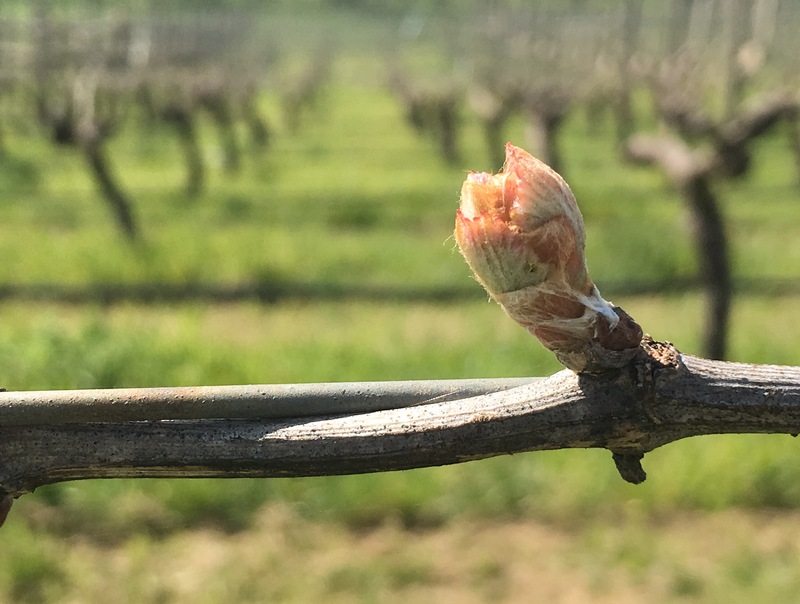 BUDBURST was early, around the 12th September and was uniform across the blocks. 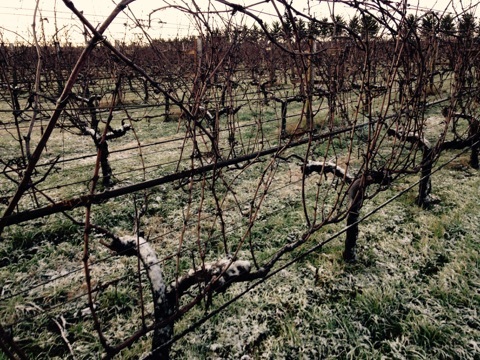 Once again, the frost system provided protection from the early spring frosts. 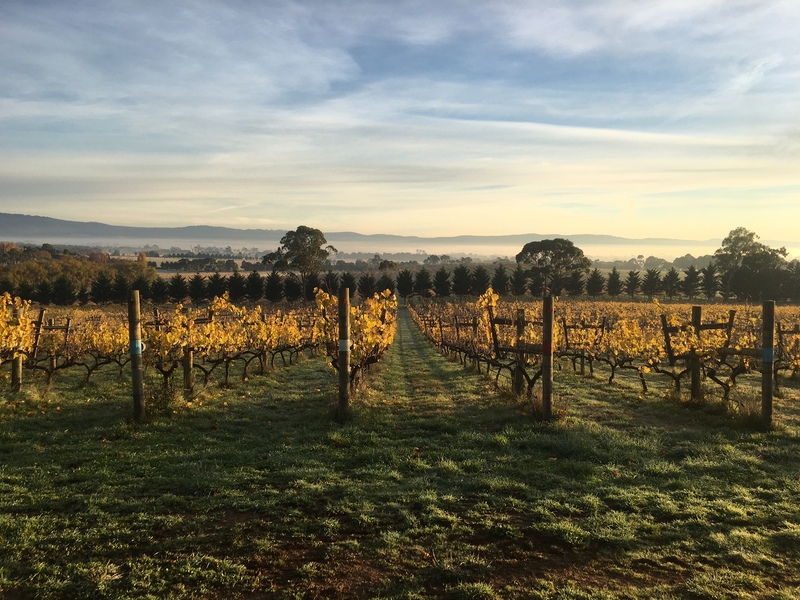 After the early start, the months of October and November were very cool and the growth was healthy but slow. 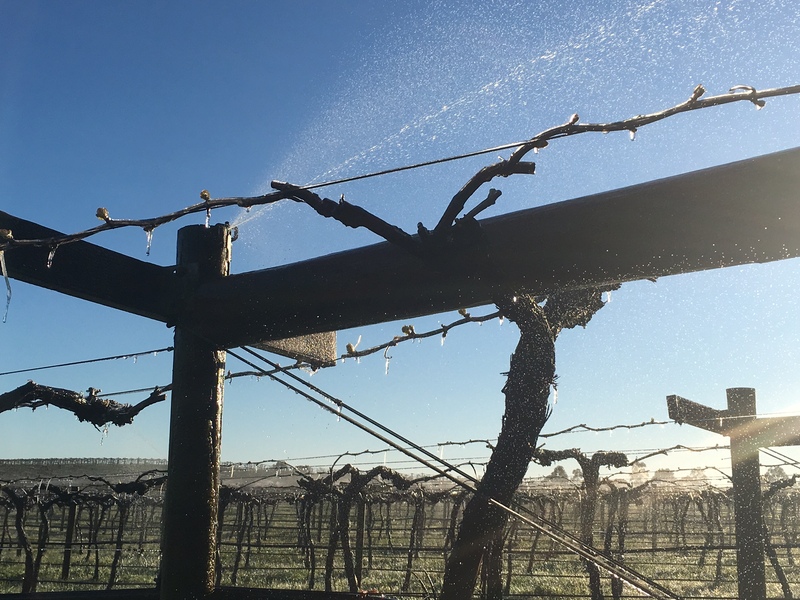 The overhead sprinklers of the frost system in action. 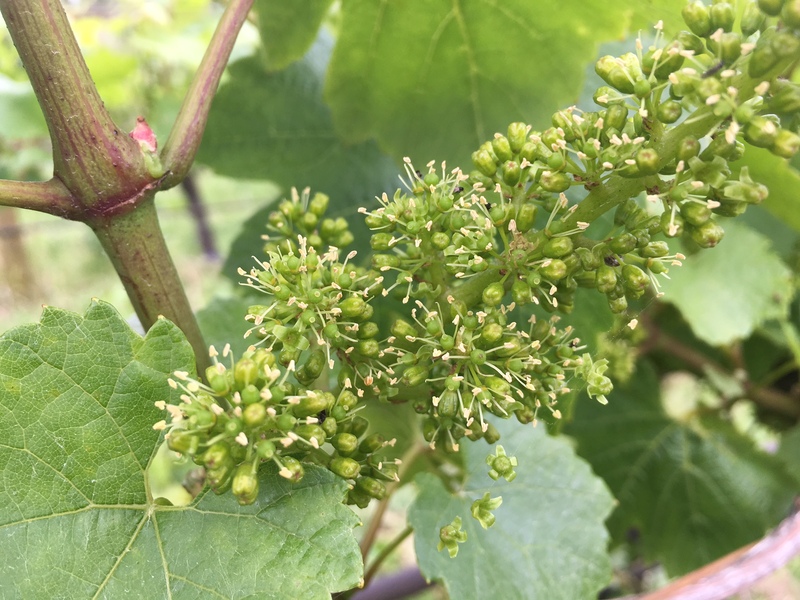 FLOWERING started around the 12th December, the weather was perfect leading to a really excellent FRUIT SET. 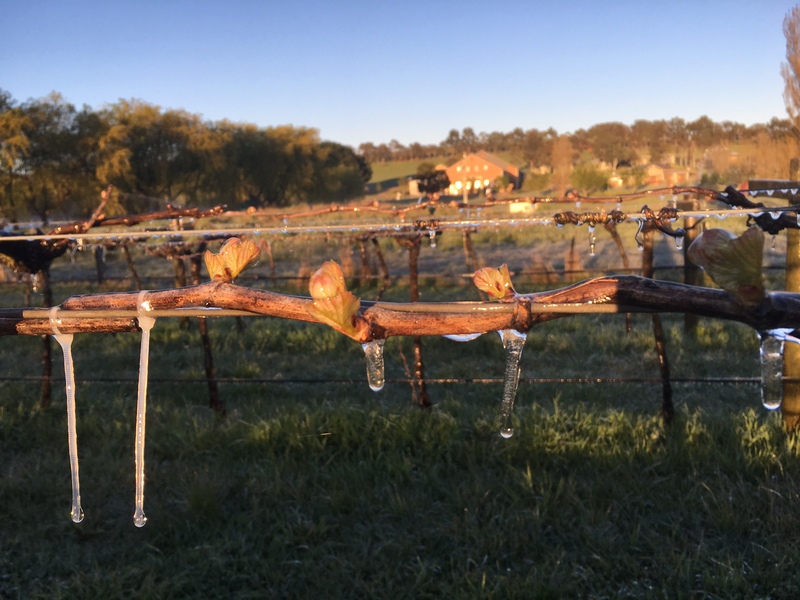 An unexpected frost on the 19th December with temperatures dropping to -1.5 C in parts of the vineyard resulted in burn damage to our 97 Block. 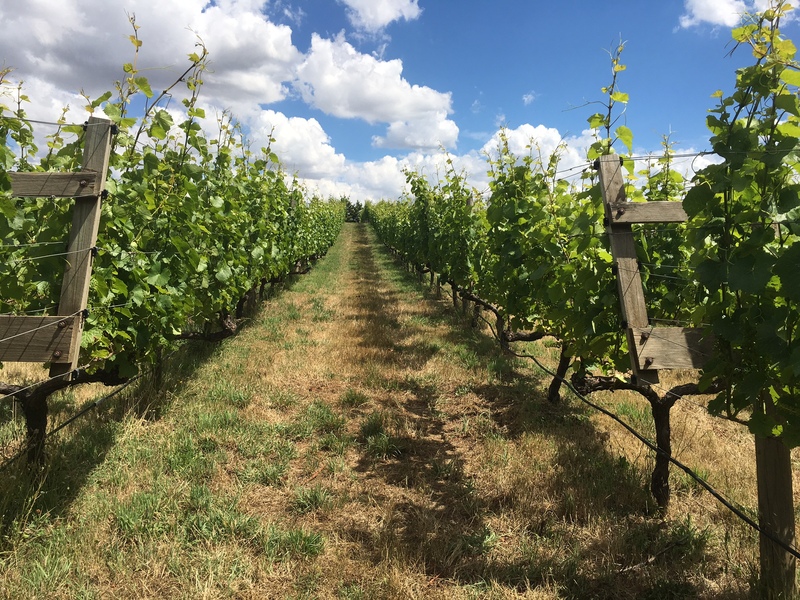 VERAISON was well underway by early February after several months of vigorous growth – the slow start by now a distant memory. 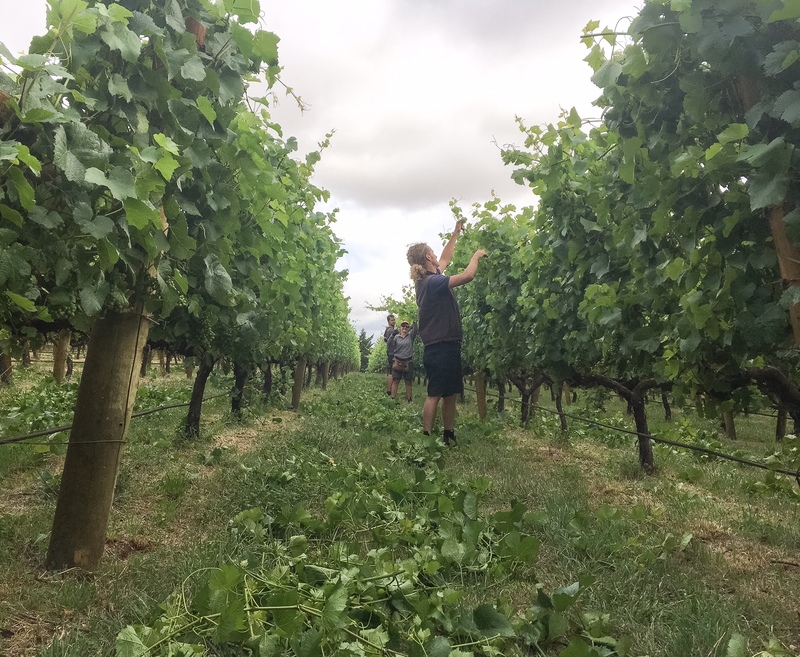 The vineyard team trimmed the unruly canopy to ensure good air circulation and light penetration to the precious fruit. 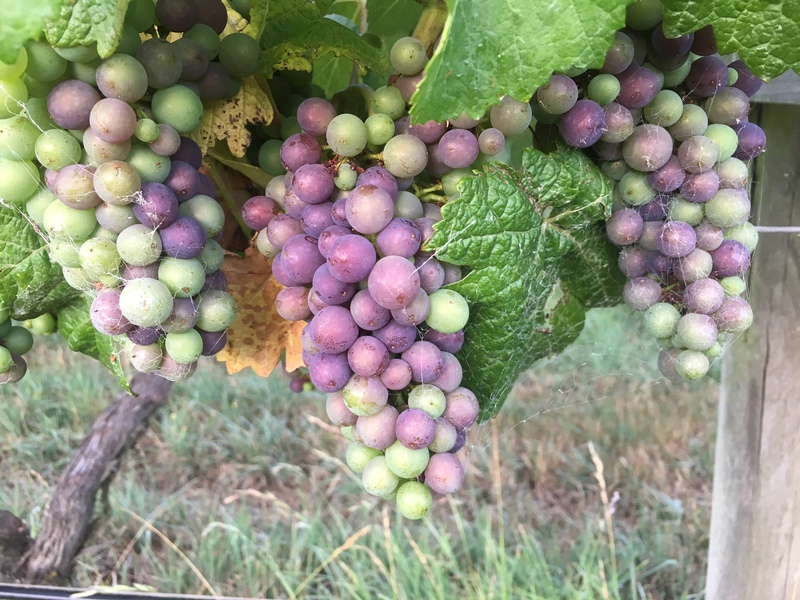 Veraison – anticipation of the harvest to come. 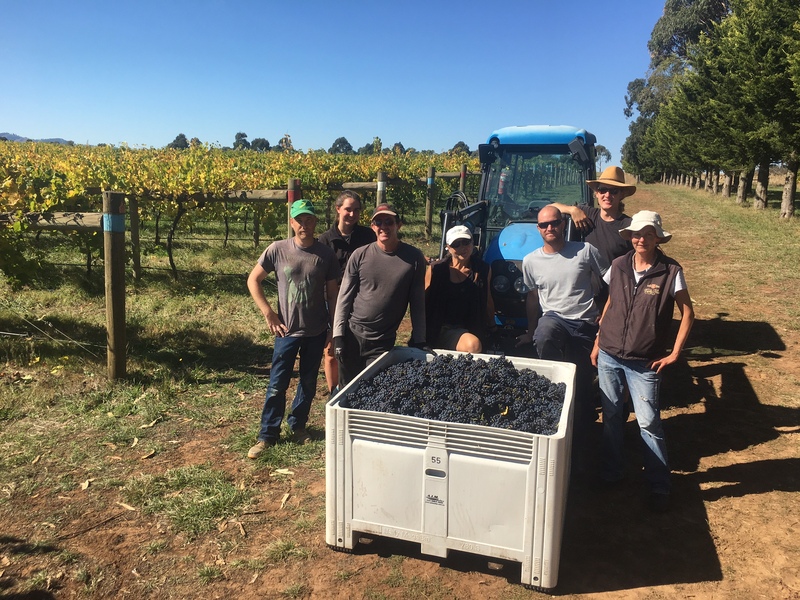 HARVEST 2017 started with a small ‘in house’ pick on the 31st March, with full picking starting on the 3rd April. 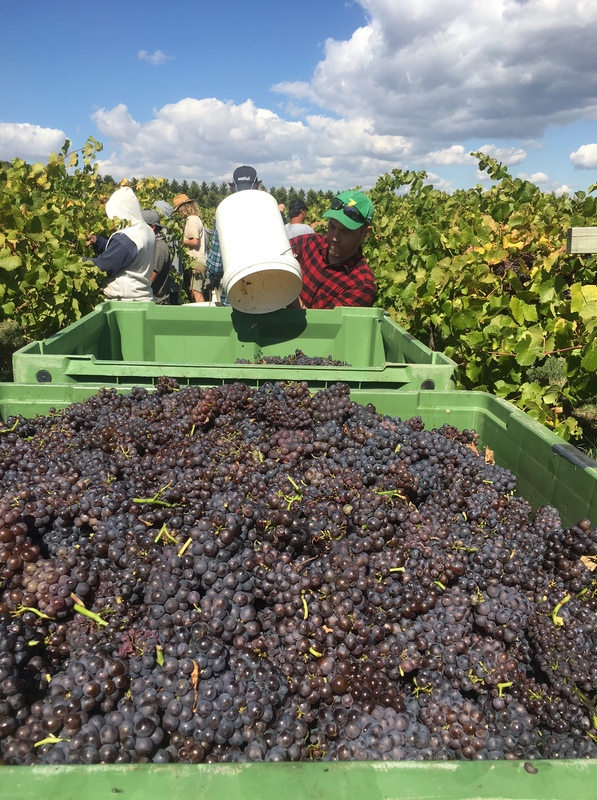 The harvest was plentiful with excellent, clean quality fruit. 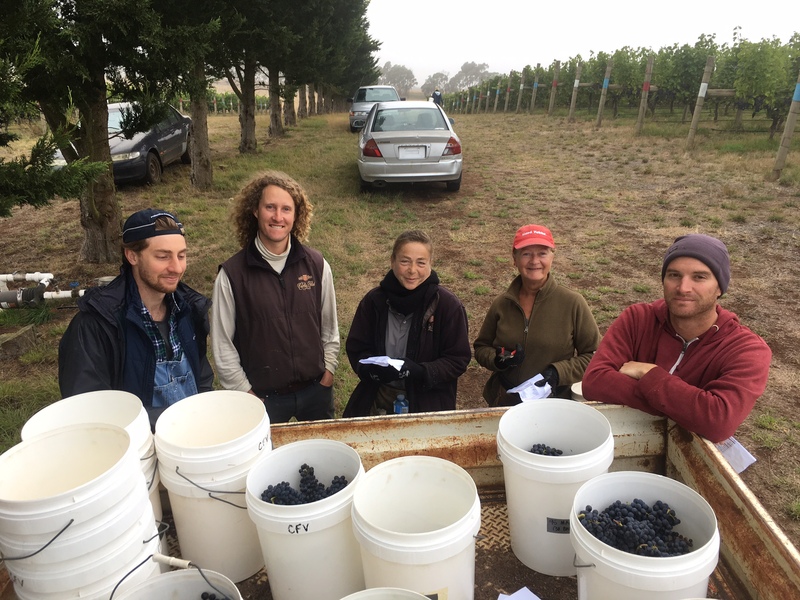 Picking went smoothly, and took in total 8 days to complete, finishing on the 13th April. 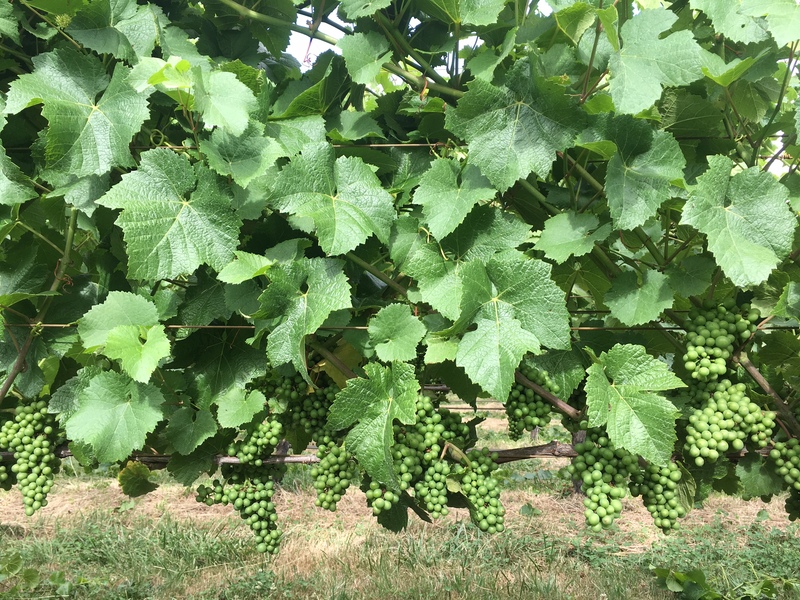 The heavy rain that came on the 9th and 10th resulted in a 3 day break in the picking but luckily did not affect the small remaining amount of fruit. 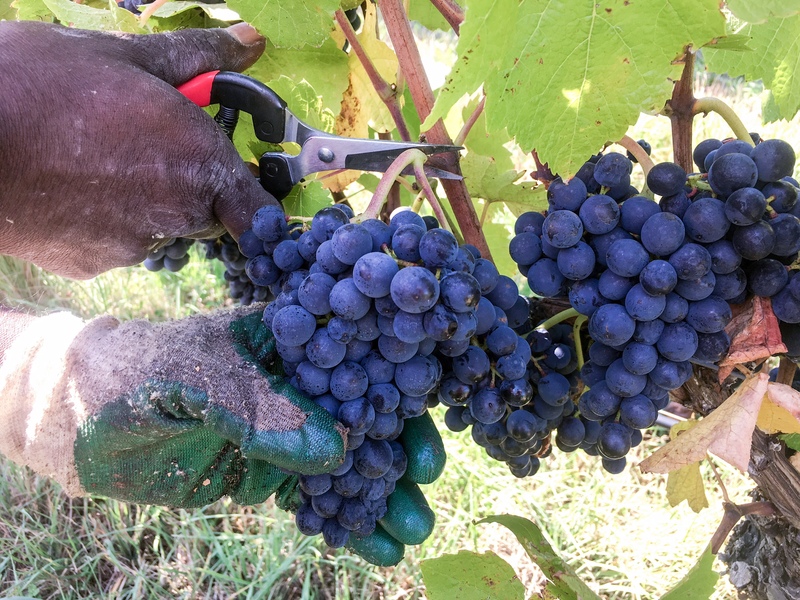 Beautiful clean bunches of Pinot Noir. 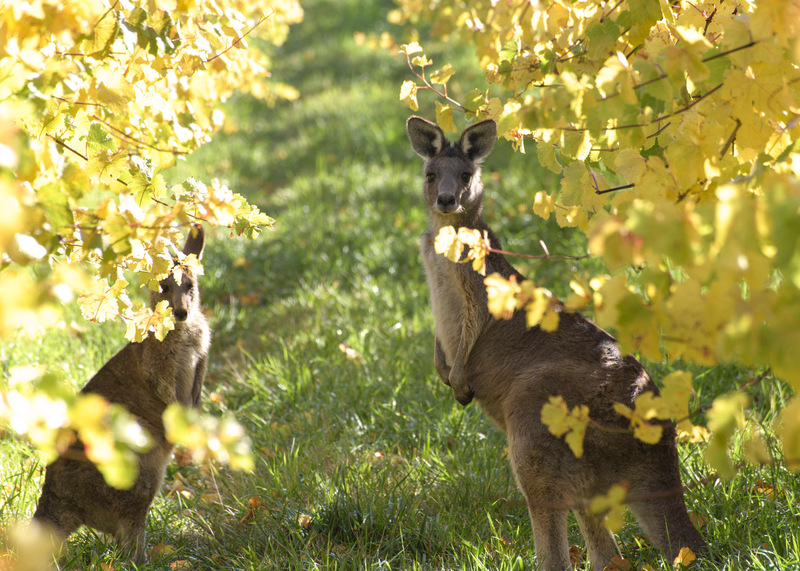 Some of our resident roos enjoying the autumn peace. 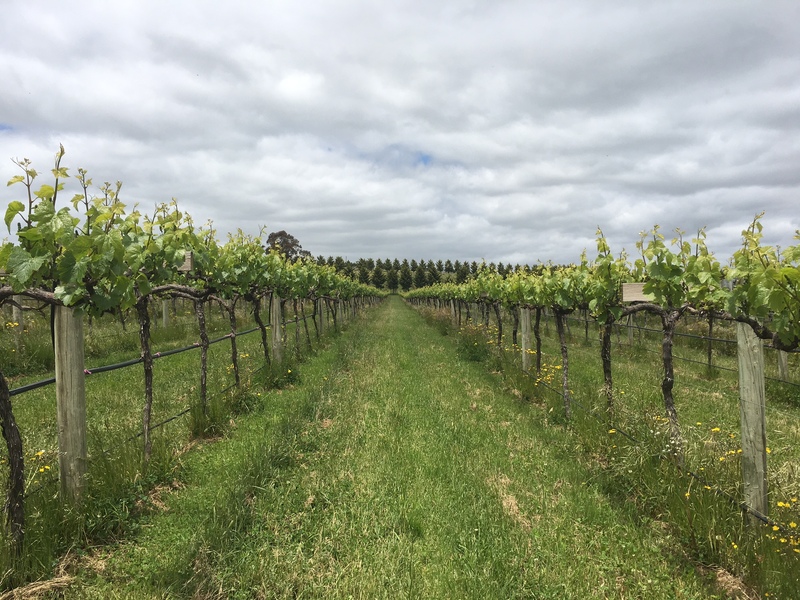 Next Next post: Ready, Steady, GROW! !